T-shirts are our new go-to this season doll. 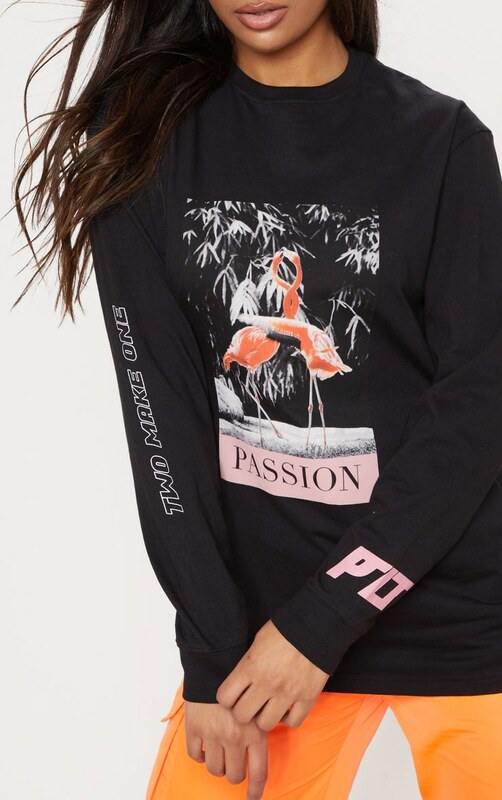 Featuring a black fabric with a passion slogan print on the front, long sleeves and a loose fit, what's not to love? Style with cargo pants and chunky lace up boots for a fresh look we're loving.